At the beginning of June, Morgan Matson visited a local Indigo store to promote her newest book, Save the Date. It was a great event in which she did a Q&A with fellow book blogger Tiffany, who blogs over at Mostly YA Lit. After the Q&A she did a book signing – and to top it all off, there was no limit to the amount of books she would sign! You can bet that I brought my stack of Morgan Matson books as well as books written under her pseudonym, Katie Finn. After this event, I decided it was about time that I started to re-read her books – and they’re definitely the perfect books to kick off the start of summer. I can’t even tell you when I read Amy and Roger’s Epic Detour for the first time, but it was quite a while ago. Coming into this re-read, I really didn’t remember much and I found it was like reading the book for the first time, all over again. First, let’s talk about the characters. I really enjoyed Amy as a protagonist. She was cautious, stubborn and guarded. But as the novel progressed, we see her come out of shell and truly enjoy what life has to offer. Throughout the novel, Amy learns to take advantage of opportunities and I thoroughly appreciated this message. Part of this is definitely due to Roger and his ability to have her come out of her shell, and I truly enjoyed their banter with one another. Roger is an interesting character – he is social and personable while also reserved. Matson did a wonderful job at balancing these two qualities together in my opinion. And, they ultimately helped lead Amy into trusting and enjoying Roger’s company throughout the road trip. The storyline of Amy and Roger’s Epic Detour was incredibly enjoyable. I love the fact that Matson actually took a road trip to help with the creation of this story. It helps provide realistic expectations throughout the story. Within the novel, Matson includes pictures and graphics. These include pictures of stops or even receipts from stores and restaurants. These graphics help the reader to feel as though they are actually on the road trip with Amy and Roger. And, that they may be on the road trip with Matson herself. The pace of this novel was enjoyable. It was the perfect pace for a story but also, the perfect road trip. I loved the characters they met in between and how both Amy and Roger’s personal storylines unraveled throughout these different locations. Overall, Amy and Roger’s Epic Detour is a solid debut novel from Matson and I really enjoyed it. I found the pace of it to be one in which I wanted to consume the whole novel and never put it down. This was in fact, mostly what I did, ha! I highly recommend this novel to anyone looking for the perfect summer read! 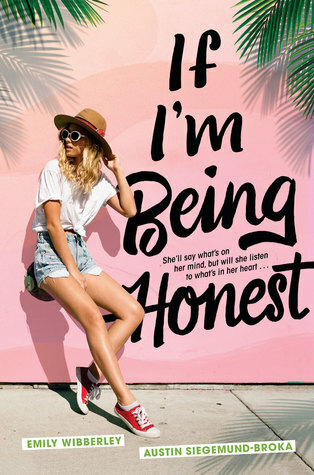 This book is also perfect for fans of Morgan Matson’s recent novels as well as novels by Sarah Dessen! Previous PostARCstravaganza #5 - Sea Witch! Next PostBacklist Blast #9 – A Torch Against the Night!